It's time again for the Sustainable Souls to bring awareness through art. Our theme for June is Carbon footprint, Simplify, Reduce Consumption, Self Sufficiency. I focused on Carbon Footprint with the thought that in order to save the earth we need to reduce consumption. 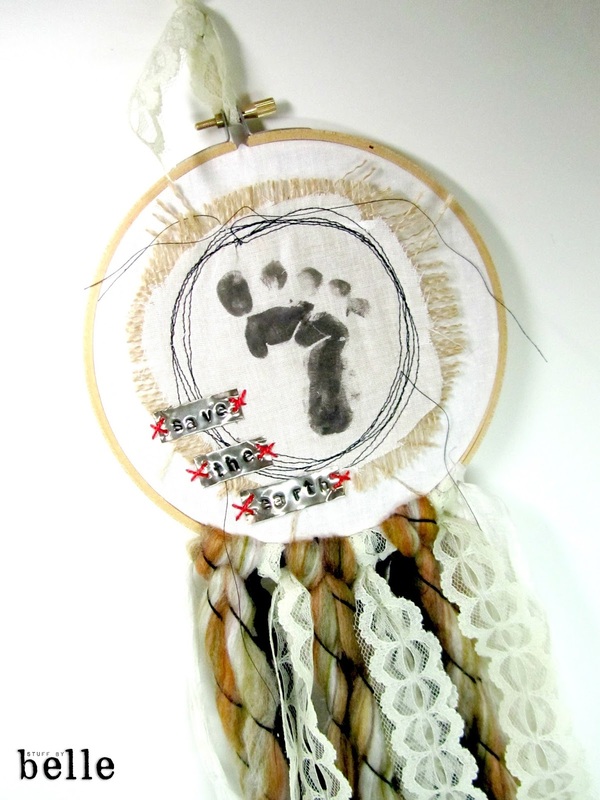 I made a dream catcher to catch the dreams that we can all simplify and work to save the earth for our future generations. 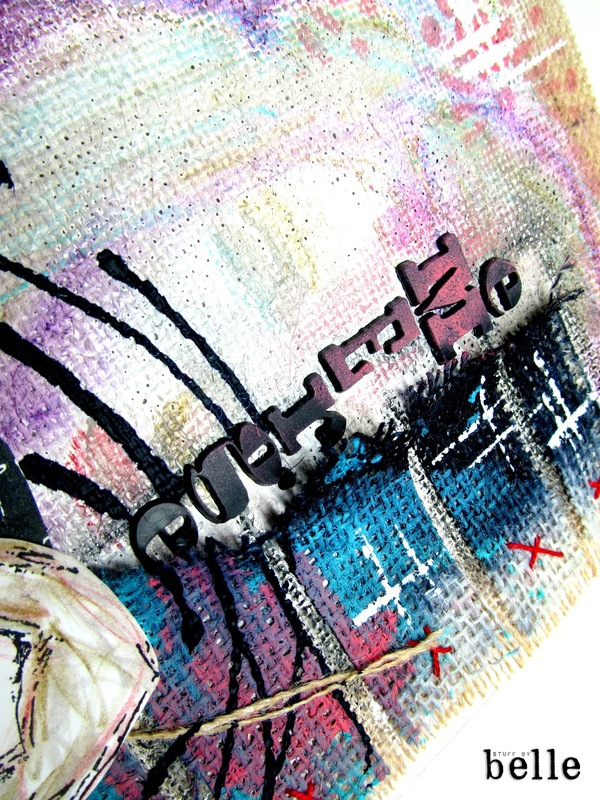 Most of the items used are upcycled from variousthings for example, the 'save the earth' is handstamped in a soda can that was cut open. Vintage lace and sari ribbon along with scraps of fabrics leftover and saved for something just like this! I am fond of the ragged edges and threads. It will always be a reminder that we all need to reduce our carbon footprint!! 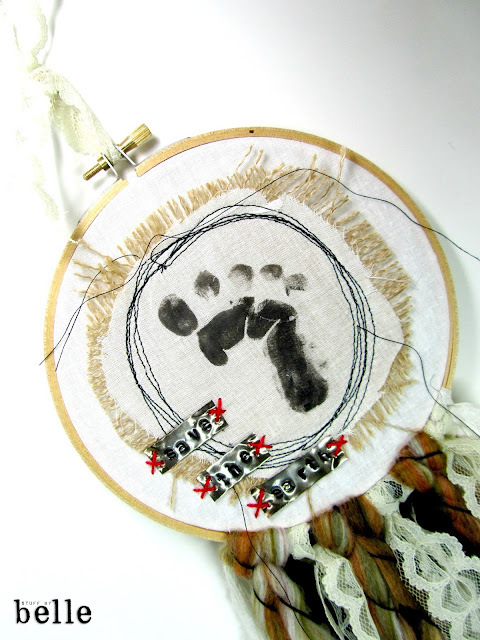 Make sure you head back to The Sustainable Souls Project blog and check out all of the other art shared by out team! 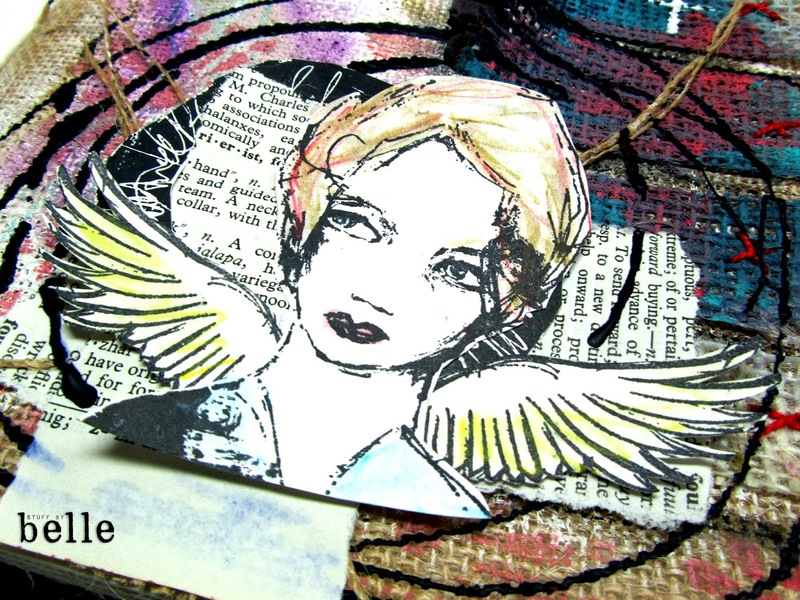 I am so honored to have been invited by Dina Wakley to participate in the first of a series of challenges created to take us on an art journey. 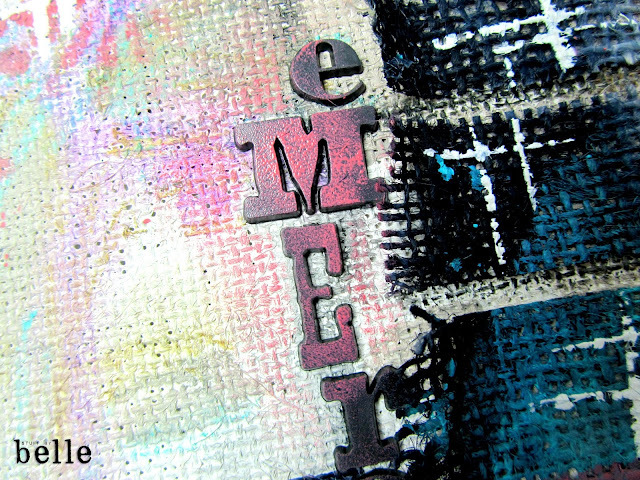 This is from Dina: I want to put the “me” back in mixed media. 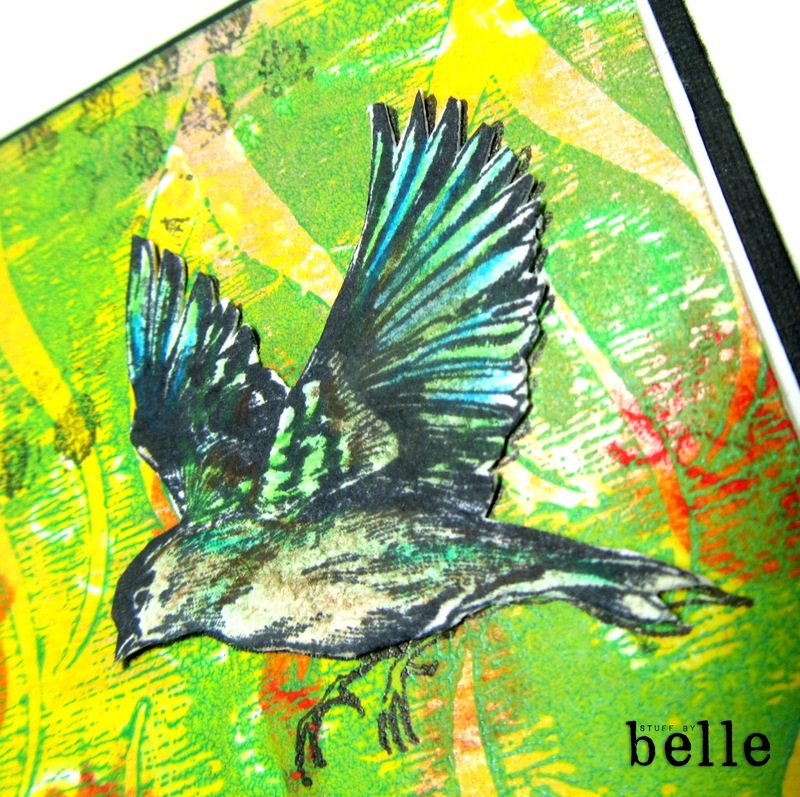 All art is personal, whether it be a card or an art journal page or a painting. Join me as we begin a series of monthly challenges and prompts that will fuel your creative spirit and help you delve into the ME of MEdia. Our first challenge: create a piece of art (card, journal page, tag, scrapbook page, painting, book, whatever you like using Dina Wakley Media product.) that shares with us your “why.” Why do you create? What compels you? I pondered for only a moment before I knew I would be working on a journal page for this challenge. 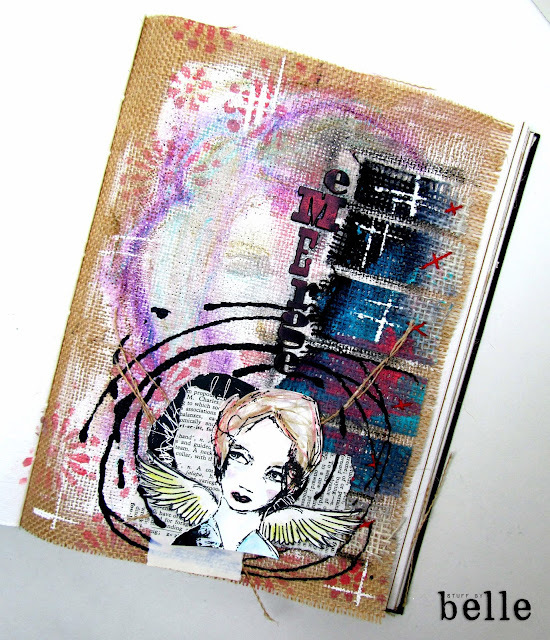 I used a burlap page in my new Dina Wakley journal. For me, creating is an escape from my day to day doings, a place where I can totally be myself...express myself in a way that shows who I really am. The real me eMErges from behind my art and you get a glimpse of what is really going on in my head. I started with a heavy coat of Dina's gesso then stenciled Maggie with Elephant paint...did some scribbling with various colors of the fabulous scribble sticks and my trusty Stabilo pencil. On another piece of burlap I painted with Night, Turquoise and Blushing. Then I cut it to piece and stitched the pieces to my page finishing them off with some marks using gesso. 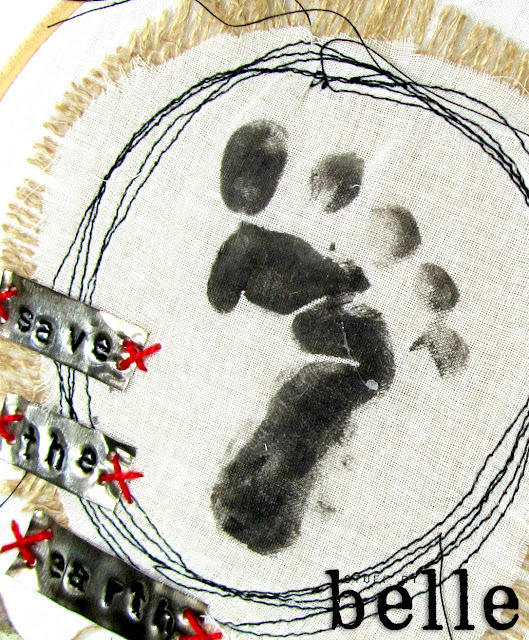 Circles with Black paint, pieces of burlap layered under stamped images and book pages clusted and adhered. I tucked some Tim Holtz alphas painted with Blushing at the edges of the burlap bits I stitched on. Some final stenciling with the Daisies stencil with more Blushing. 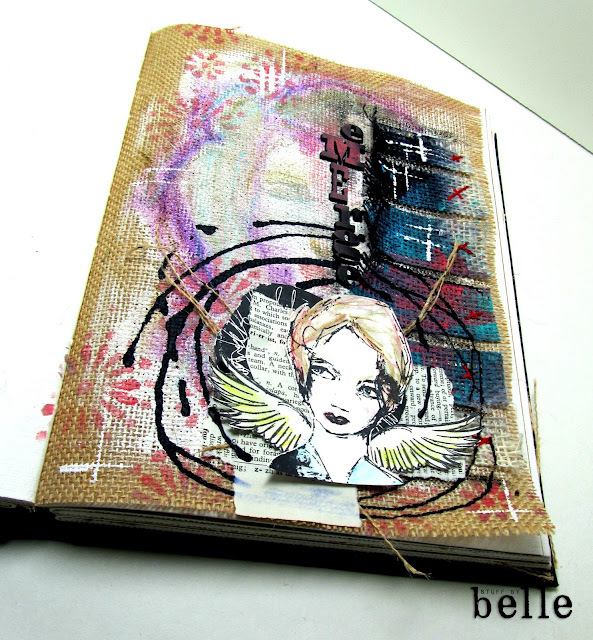 Thank you for taking a look at my journal page. I will leave you with a couple of quotes Dina shared that are very appropriate for this challenge! 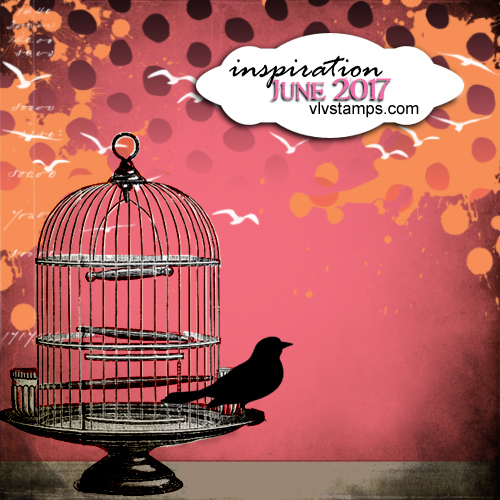 The June challenge at Viva Las VegaStamps is Flock 'o Birds and I just love the colors!! 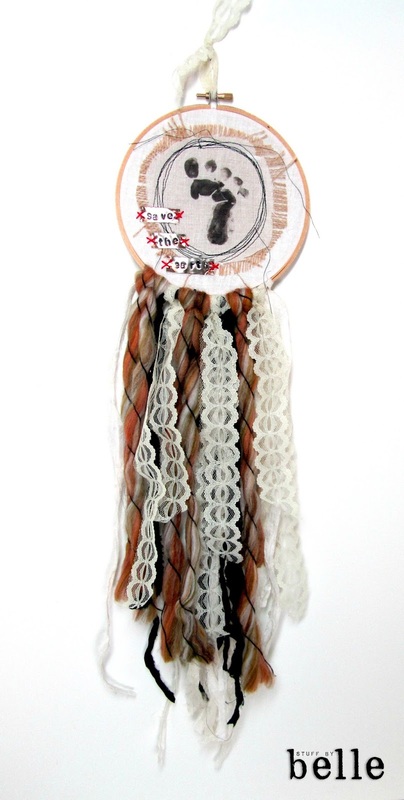 I was able to combind this challenge with the latest swap at VLVS! too, 'For the Birds'. 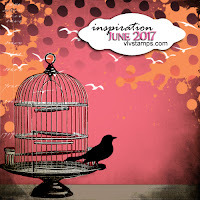 I was inspired by the birds, pink and coral. 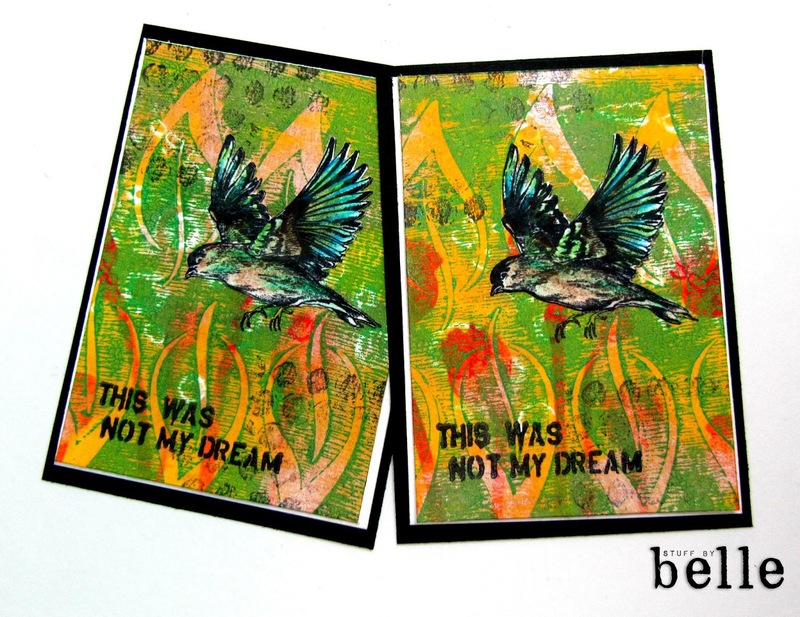 I used Bird in Flight, Bubble Wrap Texture and Banksy This Was Not My Dream. 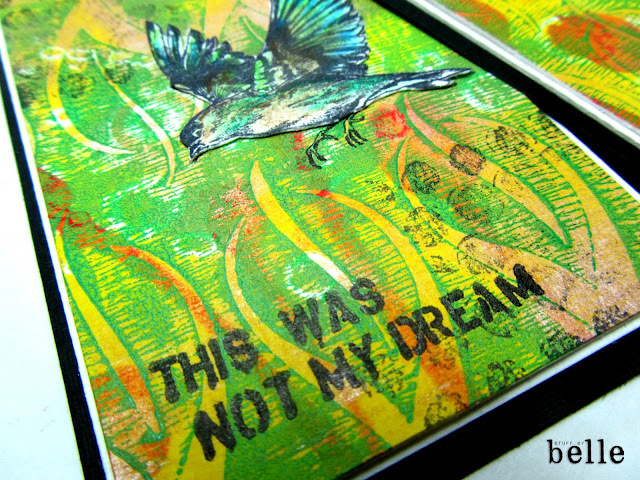 The background was done on my gelli plate with DWM evergreen, rosy, lemon and an Um Wow Studio stencil. The bird is colored with Prismacolor colored pencils. Labels: dina wakley media, michele kosciolek, Viva La VegaStamps!, VLVS!